Wondershare Dr.Fone for Android is hands-down a great pick for any one looking for a reliable file rescue solution for android phone and devices. As a data recovery solution, Wondershare Dr.Fone for Android works on several android devices including low end ones. It doesn’t really matter how long the phone’s data has been deleted or tampered with. I have always recommended Dr.Fone for android as the final solution to getting back your lost or deleted files from any android phone and/or devices. I didn’t forget to mention the various award-winning Wondershare recovery solutions in my previous list of “Top 20 Best Data Recovery Software – For Mac, PC and Mobiles” because their products are always top-notch and also does what they are designed for. 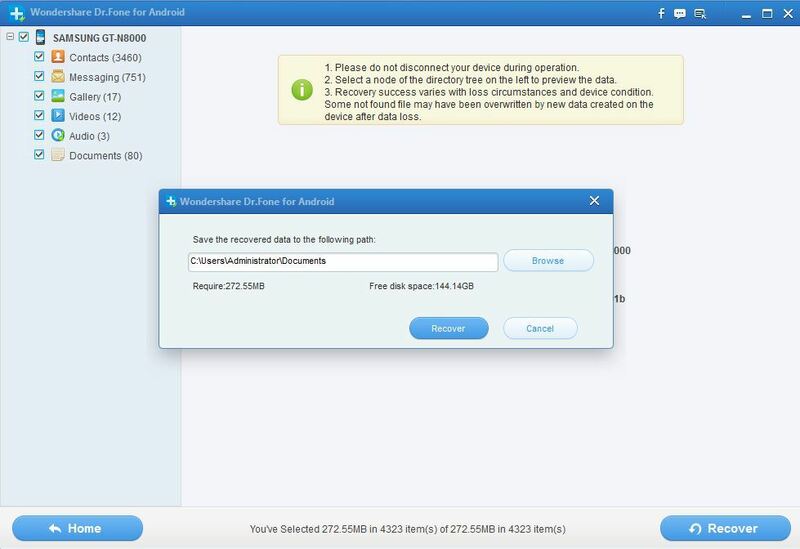 Wondershare Dr.Fone for Android being a renown android specific data recovery software supports wide range of devices including low end Chinese brands. I have successfully used the software on; Gionee pioneer p1, Gionee infinity, Samsung galaxy pocket, Samsung galaxy note 10.1, Tecno n3, infinix X450 and some other unpopular brands. Post here for tips, if you weren’t able to get this software working for your device. From contacts, text messages, documents to video, photos and other media types; Wondershare Dr.Fone makes you recover your lost data(s) like a Ninja. Dr.Fone supports the recovery on almost all android specific file formats and extensions such as; jpg, gif, png, xml, csv, html, vcf, mp3, mp4, docx, doc and several other formats. All you need do is; select the category or documents type you will like to be recovered after using the wizard to scan for them. The user-interface of Wondershare Dr.Fone makes the need for any user-manual completely unnecessary, even a novice can run the software without issues. It is also very much light weighted and can run on any windows computer starting from Micro-Soft windows xp. The memory and hard disk drive requirement is also basic and all modern computers should be fine with it. Wondershare Dr.Fone for Android is awesome and doesn’t require special capabilities or technical knowledge to use. As long as you are very comfortable with basic system operations you can use the software. This is good to know if anyone asks me about this.. now i have a resource..
I’ve never seen a data recovery app for a phone, so this is really good to know about. Thanks! I had no idea there is such a software, or even the need for such an app. I must be living in the dark ages! Thanks for this review. What an incredible software! Thanks for sharing this, very useful! Thanks for sharing information. But this software was unable to detect deleted pictures from my Sony Android phone. Hence, I used Remo Recover software which restored all my pictures. Very useful tool. Try once.. Thanks for sharing your experiences with us Michal, were you using the updated version of Wondershare Dr.fone? It is unable to detech deleted data from my Samsung Galaxy S3. I am using the most recent version. Have you resolved this? should I tell their support team about this error? Sorry for interrupt your comment to Jo, I am using the same device as you. Now scanning for lost files, hope I can recover back what I have accidentally deleted. Does It really recover it back to what I have lost/deleted accidentally in my device? Because I have installed “Dumpster” Apps in my device before accidentally deleted and I open Dumpster Apps straight away after deleted and restore back what I have deleted but still there is more that Dumpster Apps cannot detect and restore back. I’m now scanning using Dr.Fone Hope it can get back what I deleted. 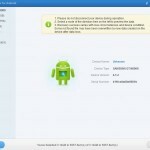 IfCoupons is proud to offer you the chance to buy Wondershare Dr.Fone for Android low to $39.96. Take advantage of this special offer to save big for your wallet. I am trying to recover from My Moto G but its it in not responding mode from last 20 min , it is showing 63% completed ,Please suggest how can i proceed further. I’m very sorry for replying so late, do you still need help or more tips on this issue? Does this app work on a phone that has a broken screen and is unable to have debug enabled? I downloaded the free trial however it took about 8 hours to recover just the photos and videos I accidently deleted. I have a GS4. It came back with over 9000 photos and 90% of them I have never seen before and non of them were the ones I actually needed. So do I need to purchase the product for this to find the most recent pictures and so that it doesn’t take hours to do? The result you got with the trial version is likely what you are going to get with a premium one, the only difference is – the premium copy will give you access to all the features and functionality. There’s a 30 days money back guarantee for all purchases, so you should feel save getting one. I run software but there is one error message ( Need to root ) , But i dont want to root my phone can you tell me some different solution . I am using dr. Fone to recover pics and videos on my galaxy s3 and it has been analyzing for about 24 hours and is at 30%. The estimated time will decrease then go back up to 20 or so hours. Is this normal? I don’t want to restart it until I know for sure. Please get back to me asap! This software has been analyzing my device 25 hours. It’s been at 99% for 24.5 hours. This is the 3rd time I’ve tried. I was successful with connect and identify but getting stuck on the ready stage. I am trying to recover messages and only selected messages when given the option. I haven’t gotten to the scan phase yet. Is this normal? Hope you have been able to resolve the issue Pacci? It takes as much time for complete scan circle only when the data is huge and/or the communication cable is slow. Sorry to learn about your challenges Esteban, I’d advice you pick another Android data recovery app from here and see how it goes.